Jerlani Robinson's promising cricket career is a direct result of a caring adult positively influencing a child. His grandfather, former national cricketer Clem John, is a major influence and inspiration to Jerlani, especially in terms of guiding him in cricket. "I guess it's in my blood…he has the biggest say in me playing cricket," Jerlani said about his foremost cricketing mentor and advisor. 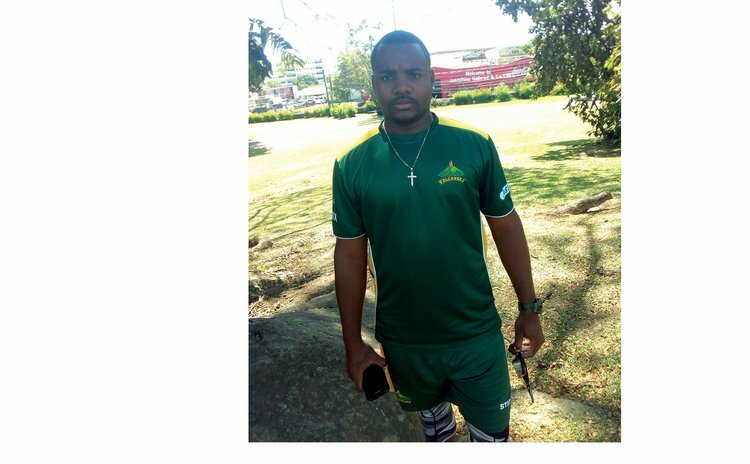 The 23-year-old batsman has just started his First Class (FC) career and is practicing for the Windward Islands senior team tournament in May. He has played in all the age-group cricket tournaments and only this year became a contracted and salaried Windward Islands player. "I can actually earn a living playing cricket…it's not just fun and games now, so I am happy," Jerlani said, noting that his long term goal is to play for the West Indies. Meanwhile, he knows the importance of maintaining good performance for the Windward Islands team as this is the only way of moving up to the West Indies team. But Jerlani is keeping his options open because these days there are opportunities beyond the West Indies team. One of the highlights of his of fledgling career was scoring 162 for Dominica against St Lucia. This was particularly gratifying because it was his first international century and it came when he wasn't performing at his best. Jelani said he admires fellow young Windwards batsman Kavem Hodge for his work ethic, along with teammates Andre Fletcher and Kenroy Peters..
Jerlani said he does a lot of research on the best players in the world, like Virat Kohli and Steven Smith. Asked about the West Indies' current slum, Jerlani said he does not want to be too critical. "I would go easy on them…it's not a good thing to lose . . . but you have to fall down sometimes to get up stronger." Jerlani said he has a committed and disciplined approach and has never missed a training session from U-13 cricket to now. "Players always look for outside forces to blame . . . but I think if you are committed you will see the positives."